8Things joined our Mission to help provide access to “Clean Water for All by 2030”. This Mission was initiated by the United Nations. A big thank you to 8Things’s team and customers for joining this extremely important mission on 11 December 2017. 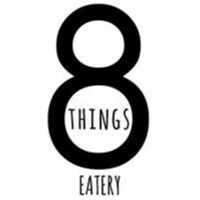 8Things is a take away shop with a dine in capacity of 20 seats. The food is based on Chef Misha Laurent's travels and passion for street food. Having spent 2 years in South East Asia working for Eastern Oriental Express, the passion for hawker style cuisine came naturally to him. Misha also spent 2 years in Toronto Canada where he discovered North American style street food. Raised in Paris he was also exposed to North African culture which is reflected in his style of cooking.